A Fallout 76 Build by BrotatoChip. I think this is pretty obvious – 60% more boom stick power…yes please. 30% faster reload = more dps = faster living to dead conversion 💀. Also any of you that have played in the B.E.T.A. will have noticed that carry weight is a HUGE thing now. 90% less Shotgun weight = more options (win!). 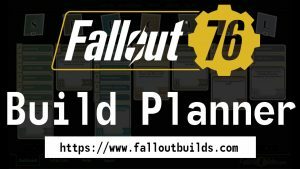 As I mentioned earlier I wanted some self-sufficiency with this build meaning, I want to be able to craft ammo and mods whenever I need them. Crafting requires lots of junk so naturally 75% less weight from junk is a huge bonus. To maximize your trips, just tag components that you need for specific shotguns, shotgun shells, and explosives and go! Obviously Shotguns are close range weapons which is why I imagined grenades being my secondary (long range) weapon. This perk gives you a throwing arc with ALL throwing weapons (bonus for early game throwing knives) which means better, more accurate throws and less wasted grenades. You also get 50% more throwing power so you can stand farther away from danger conserving those precious HP’s. Your explosives detonate with twice the radius. AKA more living to dead conversion potential (win!). Your shotguns have excellent spread and accuracy. More buckshot on target = faster living to dead conversion (win!). You take no radiation from eating or drinking. This perk synergises perfectly with the other two perks. 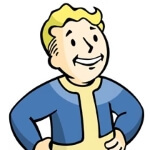 One of the most annoying things in Fallout is taking radiation damage from eating and drinking. Eventually this forces you to use Radaway if you haven’t already from all the other sources. With this perk you will take way less unnecessary radiation damage which in turn means you will be saving more Radaway for future endeavors. This perk also allows you to nearly forego carrying any liquids at all since you can freely drink from lakes, river, pools, waterfountains, and waterpumps without penalty. Forego carrying any food as well because oh that’s right, you can hunt whenever you need to eat and you can eat that bloody meat straight from the bone raw without penalty and it’s 75% more effective…BOOYAH! Reduce your target’s damage output by 30% for 2 seconds after you attack. This is a great perk for saving you HP’s over the long run and pretty much guarantees consistent protection as long as you keep shooting. More HP’s = less stimpacks used = more survivability = more win! This is my only Charisma perk and some of you may think, “Wow, not much of a team player”. On the other hand, I say I’m being the best team player I can by maximizing my killing power in other, more useful perks. Since it still is unclear which weapons are in what tier, the absolute minimum needed level of this skill could vary if shotgun components are all low tier. I still think LVL 5 Gunsmith to be a wise choice for the 50% slower gun deterioration since we are afterall specializing in realistically one type of weapon. Getting back to the self-sufficiency aspect of the build. Produce 80% more rounds when crafting ammunition. Nearly guarantees unlimited ammo as long as you are actively searching for tagged components for shotgun shells and desired explosives. Your shotguns gain 15% stagger chance and 30% chance to cripple a limb. More shotgun synergy. That’s pretty much 45% chance each shot to slow down any melee enemies in one of two ways. This will come in handy for those scorched, ghouls, mirelurk, and Deathclaws that decide to try and run up on ya’. 15% bonus damage means your enemies may explode into gory red paste. 75% total combined bonus shotgun damage…sweet mother of Mary! Also, there’s just some kind of sweet satisfaction to seeing your foes disintegrate into red mist 😈. When you craft anything, there is a 30% chance you’ll get double results! This perk pretty much guarantees unlimited ammo so long as you gather the neccessary components for ammunition. How’s that for self-sufficiency! If you get enough materials, why not become a part time munitions and explosives dealer for extra caps by undercutting those damn trade protectrons and vending machines! Thanks for taking the time to read this build of mine! This concludes my Shotgun / Grenadier / Self-sufficiency build. Feel free to rate as you see fit. Constructive possitive feedback is welcome, blatent negative comments are useless and will be ignored. This is a really cool looking build. I have a question about ammo-smith and super duper. Couldn’t you sub those out for other perks and just equip those when you craft? saving those points and placing them in other area’s or swapping for a different perk instead? Also Dromedary and Slow Metabolizer are nice but how crucial are those later game? I seem to find enough food and drink at the moment but not sure if that changes later. If so I’ll personally swap those out for something else or move endurance points to charisma or something else as I usually run in a party. Other than that this looks like a really fun build I may make a variation of it. Would you consider the ‘Luck of the Draw‘ perk (3 luck) as a replacement for either of the endurance perks especially at higher levels? I would think that combined with Gunsmith the shotgun may never/very infrequently break down. Everything else about this build looks like a fun experience. Would you include a level by level build guide for this one, please? You’ve kinda wasted 5 points in INT as you only need Gunsmith when crafting and it can be swapped out for Demolition Expert . If you want to keep 10 INT you should list what perk(s) you plan to use when NOT crafting, otherwise, adjust the build with 5 extra points to make it more shooty. Other than that I really like the build, as my current shotgunner has a HARD TIME keeping either their guns repaired or their guns loaded (not so much in later levels with loaded, but always with repaired), and more matts is a good thing. Not bad. I would probably swap a few points out of strength and put them into Agility for a couple of the good perks there. Will this build synergize with grenade launchers? This forum has 495 topics, 541 replies, and was last updated 16 hours, 50 minutes ago by Sentinel76.